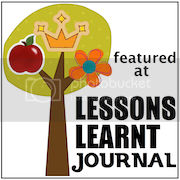 Back from a long hiatus on Little Chef posts. Jellybean has been begging to help me in the kitchen. I've been feeling badly because I let her help so little lately. When you have a nine month old that is attached to you it's hard to do the little planning that it takes to make our adventures in the kitchen run smoothly. 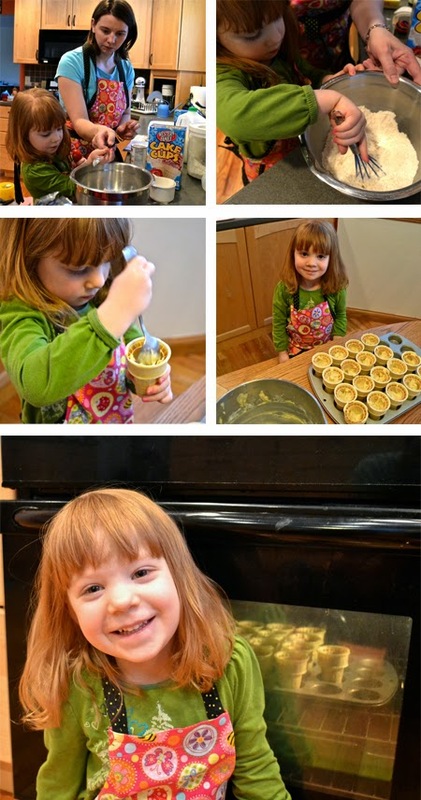 This little girl loves to bake, so we finally managed to find some time to get into the kitchen this past week. We made Cupcake Sundaes. 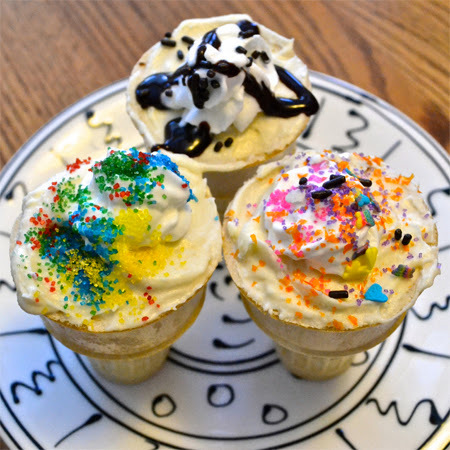 Just choose any cupcake mix or recipe for homemade, pour it into some flat-bottomed ice-cream cones and bake. We just followed the recipe baking temperature and time. 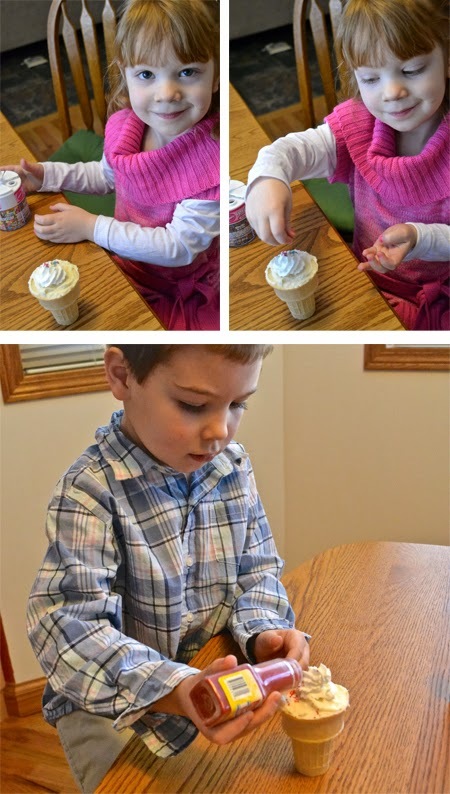 Such an easy thing to make and allowed both kids to get creative after the cupcakes had cooled. I mixed up some cream-cheese frosting (you could use any frosting) and then put a dollop of whipped cream on top. The kids chose from the sprinkles I had in the cupboard. Turns out I had collected quite a few varieties. Do sprinkles have a shelf-life? They were so much fun to eat, too. A couple of things: When filling the cones with batter, fill just the stems so that the cake has room to rise. Also, the cones did get a little soggy the second day. The kids didn't seem to mind. Definitely a pretty good alternative to ice cream on a cold, winter day.